Hong Kong (8 March, 2019) – Confident, modern women worldwide are celebrating their growth and potential – whether in career, relationships and life, and around the world they are expressing themselves in different ways. 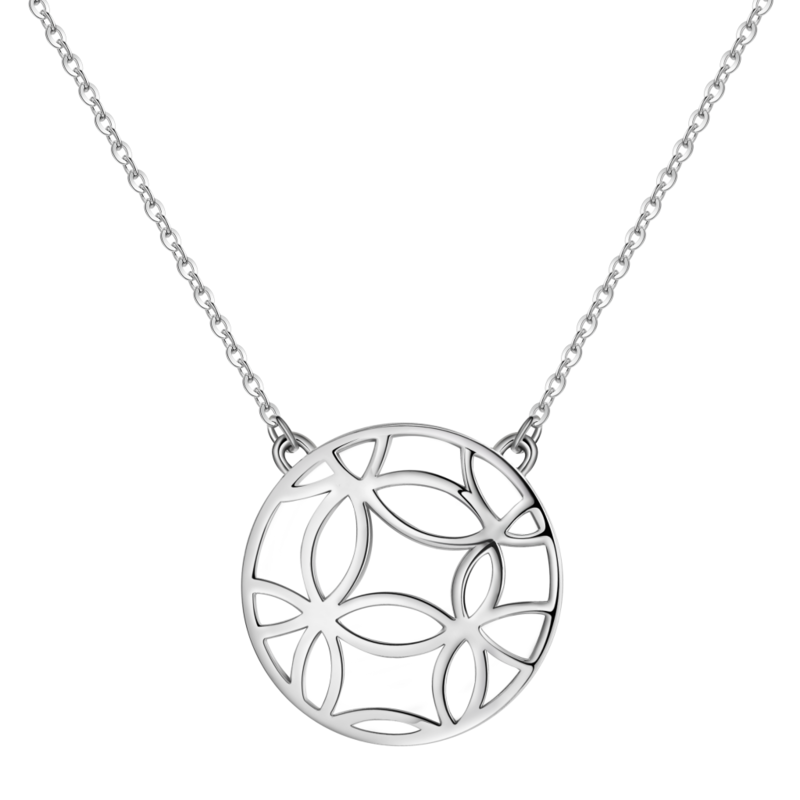 Jewellery signifies self-expression of true values, and it’s platinum leading the way. “The ongoing changes in global society and regional cultures is resulting in new tastes and self-expression among women. We are seeing that platinum – with its high-quality, enduring nature and naturally white authenticity– is the precious metal of choice for the modern female consumer across diverse regions.” Platinum Guild International (PGI) says CEO Huw Daniel. In the US, 49% of employed women, including 42% of working women with children, say they are their family's main breadwinner, according to a joint NBC News-Wall Street Journal poll, up from 37% in 2000. As a result, female attitudes towards ‘putting a ring on it’ are changing. While wedding jewellery purchasing remains high for platinum, involvement of brides have been increasing since 2011. In a market where jewellery has traditionally relied on the wedding business, over 1/3 of consumers bought jewellery for themselves in the past 12 months, according to a survey commissioned by PGI in 2018. “The US jewellery industry has seen an increase in self-purchasing among women as they are choosing to commemorate their successes (professional and personal) through jewellery. Platinum’s strength, purity and rarity makes it the perfect complement to show their achievements and personal expression,” said Jenny Luker, President of PGI USA. Perceived as the most "confident and savvy" precious metal by US consumers, platinum naturally presents itself as the choice for both daily wear, celebratory occasions, and everything in-between. In response to modern women’s desires for jewellery with a quality to adapt to diverse occasions, PGI USA introduced a new luxury fashion jewellery brand, “Platinum Born”, that serves professional, educated women who purchase jewellery for themselves at accessible price points. Curated to meet the needs to elevate her personal expression, The Platinum Born messaging recognises that a woman is multi-dimensional (she is a professional, a wife, a mother, a friend, and more), and every part of her should be celebrated in the world’s most precious material, platinum. In China, women have a relatively equal opportunity to receive higher education, accounting for over 52% of students in college in 2014. They also have high expectations for themselves and their lifestyle, which especially holds true for young women born after 1980, who are usually the only child in their families. This has given women an increased independence resulting in changing women’s self-perception. Whether in relationships, marriages or career, more women seek to be true to themselves and their values. To respond to the evolving social power of women in China, PGI expands its core target group, mainly women in relationships, by launching the “Platinum Moment” Collection in November 2018. Connecting with modern, independent women of 20-45 years old with strong independent consumption power, PGI showed personal stories of women from different life stages to celebrate their special moments when they find “the Authentic Me”. The collection, consisting of necklaces, rings and earrings, speaks to a modern woman of different age groups, whether single, engaged or married, seeking to value the rare and precious moments in her life when she finds her true self. In Japan, more women are making the choice to grow their own career after getting married and having children, which gives them economic independence as well as greater self-confidence. Based on the latest Platinum Usage & Attitude survey by PGI, 60% of Japanese women in their 40s bought jewellery for themselves, and that figure rose to over 70 % for women in their 50s. “Behind the continued strong self-purchase is the rise of the female labour force in Japan. We used to have an “M” curve, with a noticeable drop in female workers aged 30-35, as they left their jobs to focus on child-rearing, etc. But now, it is no longer such a pronounced dip”, said Hisako Hankinson, President of PGI Japan. Reflecting the increased confidence among women, the profile of a modern woman is not a loud proclamation of strength, but rather one of “effortless” power. 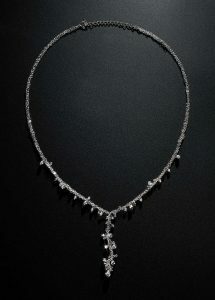 “Japanese women interested in jewellery aspire to be spiritually fulfilled and in a spiritual state of mind. With an image perception of elegant, mature, cool and independent, among all the jewellery materials, platinum resonates with the ideal profile for today’s Japanese woman,” said Ms. Hankinson. 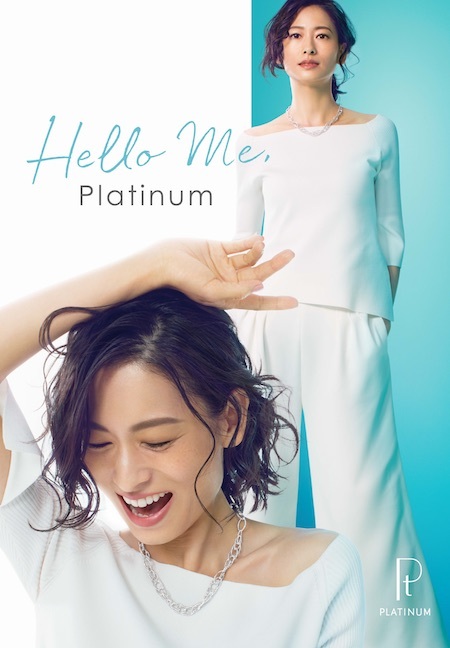 Noting that Japanese women over 50 years old make the most initial self-purchases of platinum jewellery, PGI launched a “Hello Me, Platinum” campaign to promote purchases among older women who are celebrating a new era of life, responding to the needs of mature women in maintaining a confident, healthy, and sustainable lifestyle. The socio-cultural changes in India has gained momentum in the past decade impacting the highest transformation among young, urban, affluent and educated women. These women are more financially independent, confident and driven – increasingly making their own decisions and choices. “They value authenticity and transparency in the products and brands they choose. They seek a genuine emotional connect and meaning. When it comes to jewellery, rare and precious platinum has made a distinct place for itself in their hearts,” said Vaishali Banerjee, Managing Director of PGI India. In the context of an Indian wedding, jewellery has often spoken the language of power and status, however today this narrative is transforming. The young generation and their mindsets are changing, with especially women leading the change. “Daughters of today are altering and widening the societal narrative. They are questioning traditional norms, pushing gender boundaries, and making choices to build a more progressive, equal opportunity society. 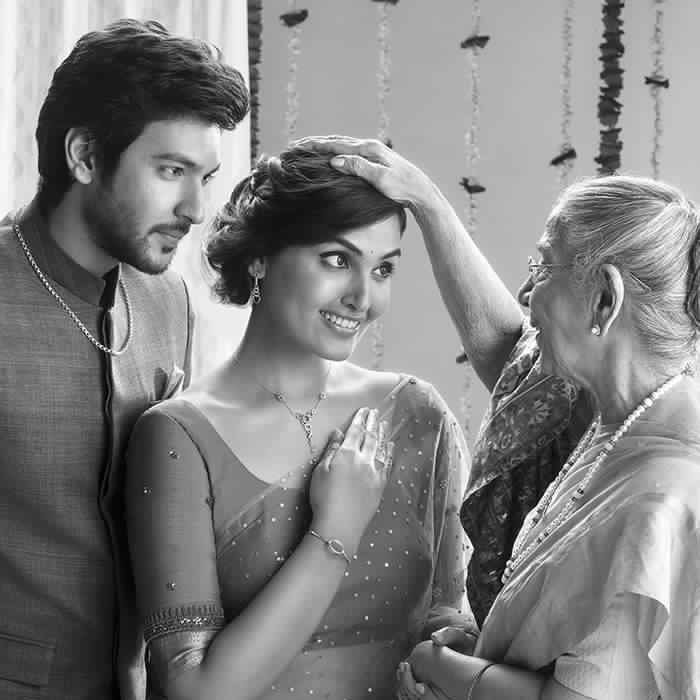 They believe in a love that embraces, cherishes and encourages you to be yourself,” said Ms. Banerjee. To respond to the changing mindset, Platinum Evara, a flagship programme of PGI celebrates this woman, this daughter of today. Confident, young women with an independent outlook in both their professional and personal lives value tradition yet embrace modernity to strike a balance. “Young women nowadays are raised as equals and empowered to chart their own life and realise their full potential. Platinum Evara jewellery is precious to her because it symbolises the love – the love of her parents and the love for who she is. Platinum is the precious symbolic of her parents’ heartfelt blessings especially at the time of her wedding, and an emotional milestone,” says Ms. Banerjee.